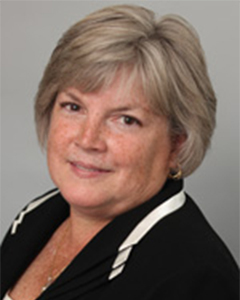 Josie comes to Berkshire Hathaway HomeServices Blake, Realtors® with 28 years of experience in real estate working as a Licensed Sales Associate since 1989, Licensed Real Estate Associate Broker since 1998 and as a New York State Certified Residential Appraiser since 2007. She is a member of the Albany County Board of Realtors, Greene County Board of Realtors and National Association of Realtors. Josie is a graduate of Syracuse University majoring in Accounting and Computer Science. She is a lifelong resident of Albany County and knows the Albany and Greene County areas very well. Josie has a strong background in governmental accounting, tax assessing, budgeting, planning/zoning regulations that came from her 32 years of service as Clerk/Treasurer for the Village of Ravena. She is active in her church serving as a Eucharistic Minister and also a golfer obtaining a hole in one at Sycamore Golf & Country Club. Josie’s #1 priority, however, is “taking good care of her clients to find them their dream home and helping them through each step for a timely closing”. Contact Josie Bruno at Berkshire Hathaway HomeServices Blake, Realtors® in our Delmar Office for all your real estate needs!